Fuel cell truck pioneer Nikola Motor will find out next year whether hydrogen fuel cell trucks and fueling stations can draw a crowd of green truck fans when it hosts a three-day open house in Phoenix. The April 16-18 event is dubbed Nikola World to signify the fast-growing company’s desire “to create a better place to live, where emissions are eliminated,” said Trevor Milton, Nikola’s founder and chief executive. The event will be used to showcase the first pre-production models of Nikola’s Class 8 fuel cell truck and the production Nikola NZT electric all-terrain vehicle. It will also display a 2.3-megawatt hydrogen fueling station that Milton says is a model for a string of more than 700 stations the company intends to build throughout the U.S. and Canada. Nikola also promises a few surprises and hinted of one in its promotional photo for the event. The teaser photo shows three sets of headlights, each on a different, obscured vehicle: The middle set are Nikola Two day cab lamps, and the lights on the left belong to the NZT all-terrain vehicle. The third set is for a much smaller vehicle that could be a personal watercraft the company has touted as a future product of its Nikola Powersports division. The event, open to investors, customers and potential customers on the first two days, will welcome the public on day three. Advance reservations will be required. Nikola won’t disclose the location until it opens reservations Dec. 3, but expectations are that it will be held on or near the grounds of the 15-acre, 200,000-square-foot headquarters and research and development campus Nikola that is building in Phoenix. Milton has proven very adept at promoting his company. Nikola recently announced that it had raised $100 million in new investor funding in just one week — with a steady stream of announcements that keep potential investors and customers interested, said Michael Ramsey, transportation analyst with Gartner Inc. in Detroit. As for the business case for events such as Nikola World, “it all depends,” Ramsey said. “If they have vehicles there in a state of readiness that show lots of innovation, then that can be very good at convincing investors, analysts, potential customers and the media that this is real and worth paying attention to,” Ramsey told Trucks.com. “if not, well, that can hurt a company’s chances,” he said. The event makes marketing sense, others said. “It’s a good way of drumming up interest, especially as they have a huge PR job to overcome the general skepticism about a new technology and fuel,” said Antti Lindstrom, trucking industry analyst with IHS Markit. Milton and his backers founded Nikola Motor in Salt Lake City just four years ago to develop and market a low-emissions heavy truck. 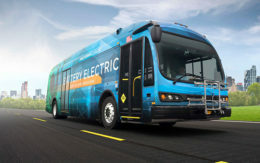 After exploring the possibilities of a battery-electric and natural gas hybrid, the company two years ago switched its sights to hydrogen fuel cell technology. Fuel cell vehicles run on electricity produced on-board from hydrogen gas and are classed as zero emission. They emit only a trickle of steam and distilled water — the byproduct of combining hydrogen with oxygen in the fuel cell. Since making the switch, Nikola has logged almost $11 billion in non-binding advance reservations. 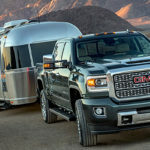 The largest is from brewing giant Anheuser-Busch, which recently said it intended to replace much of its long-haul delivery fleet with 800 Class 8 Nikola trucks. Milton decided last year to move from Utah to Arizona. In addition to its headquarters complex, Nikola plans to break ground on a 500-acre manufacturing campus near Phoenix early next year, Milton told Trucks.com. Nikola has developed two fuel cell trucks, a day cab model and a sleeper cab, and Milton said they would be able to travel 1,000 miles or more on a single fill-up with compressed hydrogen gas from one of Nikola’s fueling stations. The trucks were designed and built by Nikola and feature futuristic, streamlined design elements made possible by the absence of a large internal-combustion engine. The preproduction Nikola Two, the day cab model, will be shown at the event. Electric car maker Tesla is considered a potential rival because it has announced plans for a battery-electric truck and its cab design is strikingly similar — a fact that sparked a still-pending $2-billion patent infringement suit by Nikola against Tesla. In addition to the preproduction truck, Nikola will use its April open house to showcase its battery-electric NZT all-terrain vehicle. The NZT is available in four models with up to 590 horsepower and 722 pound-feet of torque. It is available with several battery options that provide 90 to 150 miles of off-road range. The third announced showpiece is the Nikola fuel cell station, built in conjunction with Norwegian hydrogen production equipment and fueling station developer Nel ASA. A key element of Nikola’s marketing plan is that it will offer its trucks for lease only, for periods of up to a million miles, with free fueling for the life of the lease at any Nikola hydrogen station. The retail stations will be larger than the display station at Nikola’s open house and are designed to produce, compress and store up to 8,000 kilograms of hydrogen gas per day. That’s the energy equivalent of about 8,900 gallons of low-sulfur diesel. The stations will use renewable power resources such as solar, hydro and wind when possible to separate hydrogen from water in a process called electrolyzing. Use of renewable energy to power the electrolyzer will give Nikola the ability to claim that from fuel production to fuel consumption, its trucks are true zero-emissions vehicles. In addition to the vehicle and fuel station program, Nikola will be holding a job fair throughout the show. The Nikola trucks will be in operation daily at the event, but only a few invited guests will be allowed to ride in them; others will have to be content watching. Nikola will begin accepting reservations for attendance Dec. 3, on its website. Public admission — reservations required — on April 18 is free. One kg of hydrogen requires about 55 kWh to produce, compress and deliver. With 2.3 MW continious power one can produce 41.82 kg per hour or 1003.64 kg per day. 8000 kg per day obviously requires a power connection that is 8 times bigger. I hope you can ask them to clear this up. 1000 kg of hydrogen per day might not be enough for 20 trucks per day. Here is the clarification from Nikola and how we have updated the article: The retail stations will be larger than the display station at Nikola’s open house and are designed to produce, compress and store up to 8,000 kilograms of hydrogen gas per day. That’s the energy equivalent of about 8,900 gallons of low-sulfur diesel.